Despite the rise of generic internet marketing instruments like SEO and content marketing, advertising is still the best way to gain traction and attract traffic in a relatively short amount of time. PPC or pay-per-click advertising is still used for everything from promoting a new site to getting more exposure and increasing sales of a product. While PPC campaigns are generally expensive, there are ways you can decrease the cost of your PPC campaigns without lowering the overall effectiveness and the great results. We’re going to take a look at the best tips to get started in this article. Instead of targeting generic keywords, it is always better to focus on long-tail keywords that really suit your target audience. Aside from being able to reach a more specific segment of audience, you’ll be able to save a lot of money on the PPC campaign. Long-tail keywords are cheaper than generic ones simply because there are fewer advertisers bidding for the clicks. You can also be as specific as you can be with the keywords and adjust the campaign to suit your budget. Let’s not forget that long-tail keywords also produce a higher click-through rate, so you will also be getting better ROI on your campaign. Adding one or two generic keywords while keeping the campaign within your budget can boost the advertisement’s reach and increase brand exposure at the same time. Many site owners and campaign managers still make the mistake of waiting until the end of a campaign before evaluating the results. If you have extra money to burn and you can use the insights from each campaign for other purposes, this is a great approach to take. When you need to keep PPC campaigns affordable, however, evaluating regularly is the way to go. Most ad networks allow campaigns to be edited. Facebook Ads, for example, can be adjusted to target a completely different audience segment in the middle of a campaign. This means you can make adjustments when the current campaign is not producing the results you’re expecting. Stopping an ineffective campaign can also help save a lot of money. Instead of wasting money on PPC ads that don’t produce high enough conversions, you can move on to the next campaign strategy and formulate an advertisement that attracts the right audience. 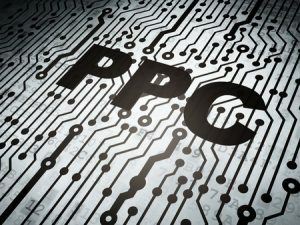 Last but certainly not least, you can simply lower your bids to reduce the cost of running a PPC campaign. There are two factors to pay close attention to when evaluating a PPC campaign: your Cost Per Action (CPA) and your conversion rate. Placing high bids doesn’t always mean getting a high conversion and optimum CPA. A good rule to follow is by setting a target CPA. How much are you willing to spend to sell a product? Based on the CPA and the average conversion rate you get, you can formulate the right amount to spend on the PPC campaign and target a suitable amount of clicks. This, and the previous tips we discussed in this article, will help you maintain an affordable PPC campaign with great results. « SEO on a Budget: Is it Possible?